Click for LARGE version and see the great details! Art by Tania Marie. 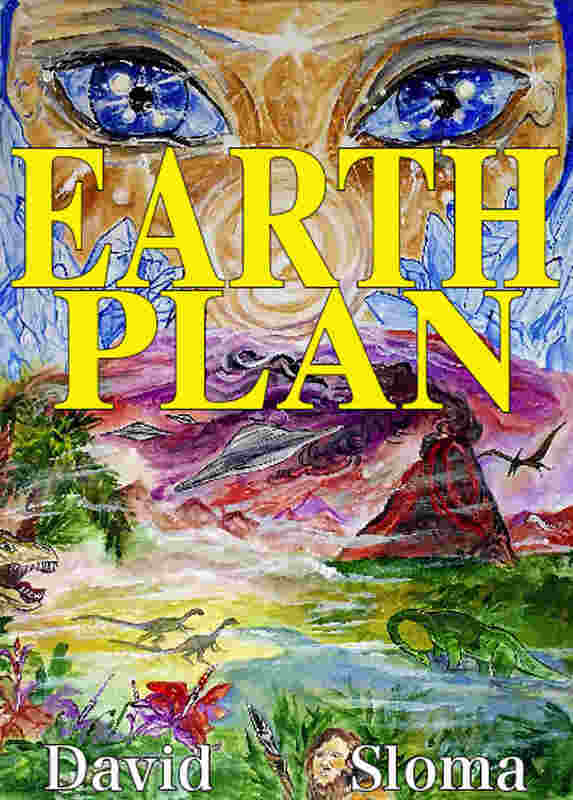 My new novel EARTH PLAN is coming soon! The caveman abducted from Earth doesn’t understand the ark-like spaceship holding him captive. It studies him and keeps him alive, but it’s a prison. The vast ship, with its own ecosystem and self-aware A.I., is from the Watchers – energetic beings who are the guardians of life. It has been sent on an intergalactic rescue mission to preserve life forms and their DNA from disasters, both natural and created. The ship has detected an energy shield being hastily constructed around the young Earth by an unknown force. Unsure it will be able to leave Earth after its sampling mission, it continues anyway. Its mission is too important not to try, even if it means being trapped inside the barrier, never to return to the planet of the Watchers with its precious cargo of life. But the ship and Earth’s life forms are not alone. The servants of the Dark One – a powerful evil entity, have arrived to begin their corruption of the pure beings they find, aiming to ruin and destroy them for all time. Ancient forces of good and evil fight a galaxy-spanning war across many civilizations. The Watchers must defeat the Dark One or all life in the universe will perish. 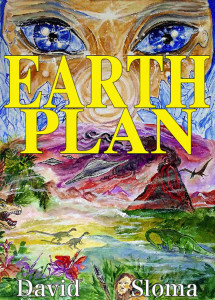 EARTH PLAN is an epic science-fiction/fantasy novel of over 100,000 words, unlike anything you’ve ever experienced before. Take the ride! Release date: June 2, 2016. Paperbacks and Kindle ebooks on Amazon now! Click here to visit the order page.